Our Front Office Manager Louise loves to cook, and this hearty chicken soup is one of her winter favourites. 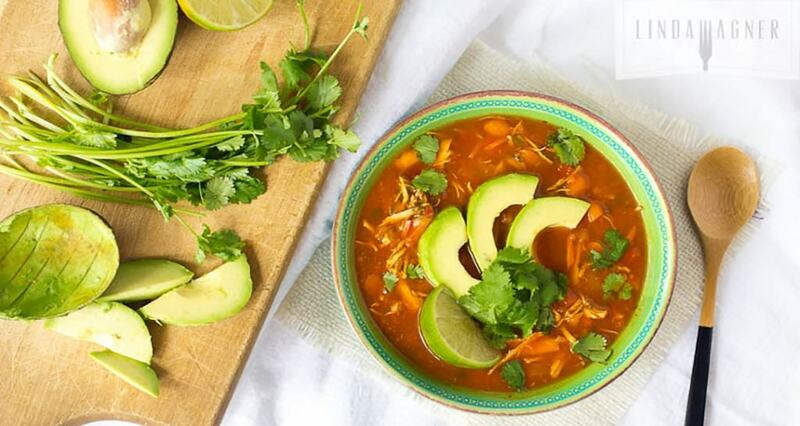 This one pot meal has a wonderful Mexican flavour and is packed full of healthy ingredients! It freezes well too! In a large saucepan over med-high heat, place a dash of olive oil and about 1/4 cup chicken broth. Add onions, garlic, jalapeno, sea salt and pepper and cook until soft, adding more broth as needed. Once the chicken is fully cooked, you should be able to shred it very easily. Use can simply used the back of a wooden spoon and press the cooked chicken against the side of the pot. You could also use a fork or tongs to break the chicken apart and into shreds. Top with avocado slices and fresh cilantro. Enjoy!